Love Joe Mazzello: "Love Joe Mazzello" now has a Facebook page! 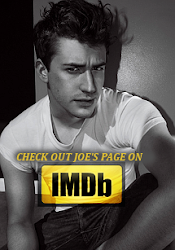 "Love Joe Mazzello" now has a Facebook page! Be sure to "Like" the page so you don't miss any news about Joe's newest projects!